A picture is worth a thousand words. Tell your story with emoji! 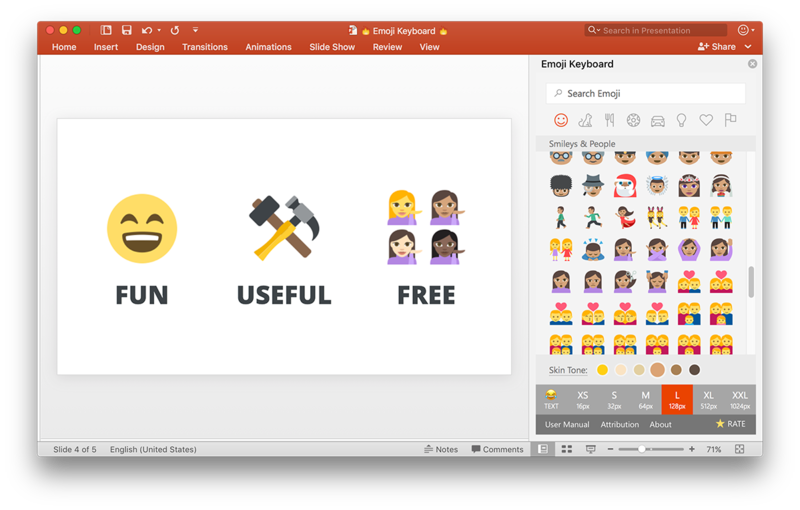 Emoji Keyboard enables you to use more than 1300 emoji in Word, PowerPoint and OneNote. Keyword-based emoji search, and skin tone modifiers. Emoji images can be used commercially (CC-BY 4.0 licensed). The emoji graphics are provided by Emoji One under a free culture Creative Commons License (CC-BY 4.0).